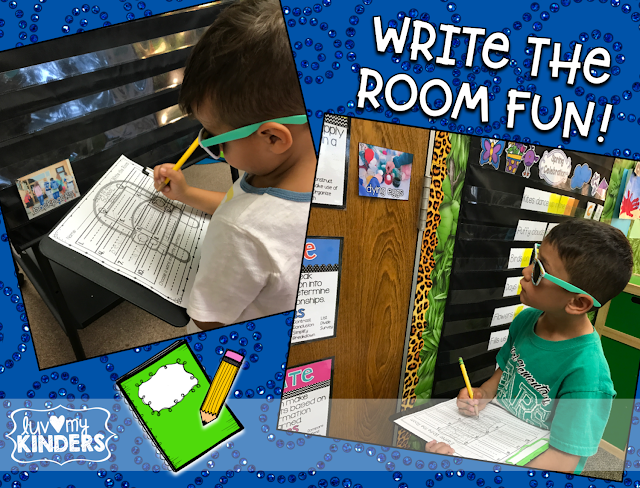 Luv My Kinders: Write The Room Fun & A Freebie! 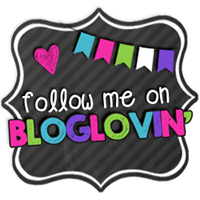 Can you believe I am writing a post! Yes, it has been a while, but one of my resolutions for 2018 was to get back to one of my loves, blogging. So here goes! 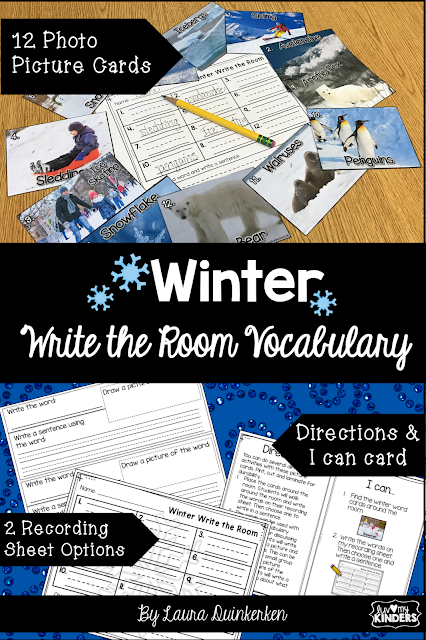 It's January and I always have so much fun with winter activities in the classroom this time of year. We study all all about snow, polar bears & penguins. One of my students' favorite activities right now, really all through the year, is Write the Room. I love using real pictures in our learning it really helps the students to make a real world connection to the vocabulary. These winter pictures are just the perfect vocabulary for everything we are studying this month too. This is one of the anchor activities that we use every week in my classroom. I teach the students the procedure at the beginning of the year and then each week I just change out the pictures and they know what to do. Another reason I love this activity is that it keeps my students engaged, having fun and it is easy prep for me too! I hang the picture cards around the room and my students search for the cards, write the words on their recording sheet and then use at least one word in a sentence. I like to add fun glasses too, it just makes it even more fun! 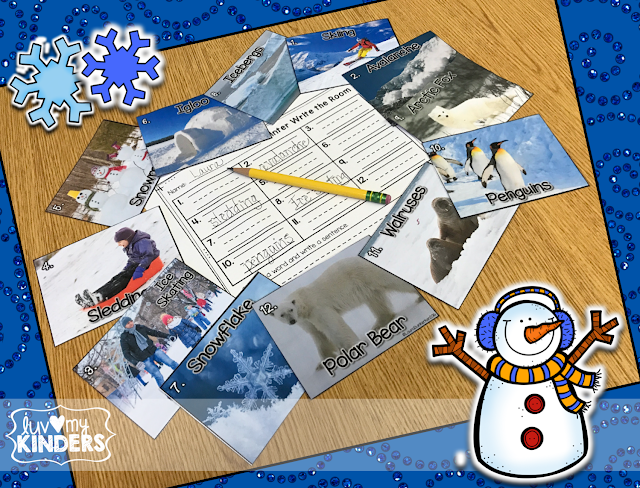 In this resource I have 12 real picture cards, 2 different recording sheets for differentiated instruction-making it usable by grades K-2, directions and I can cards. Once my students used this activity they begged to do it every week. So, I came up with 20 different themes to use through out the year. This little video gives you a preview of all of my themes. 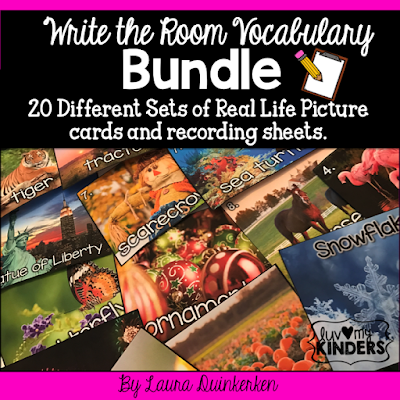 Write the Room Vocabulary Bundle. 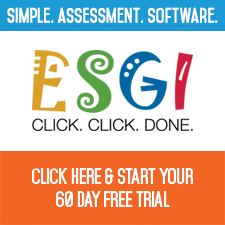 You can even give my Write the Room Activities a test drive for FREE. 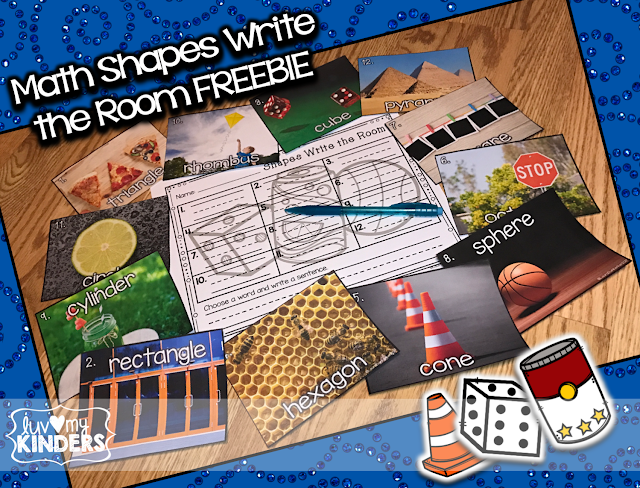 I made this fun Math shapes write the room activity that you can download. Just click the picture below. Hope your students enjoy it as much as mine do. If you do download the freebie I would really appreciate your feedback! Have a great week ahead!